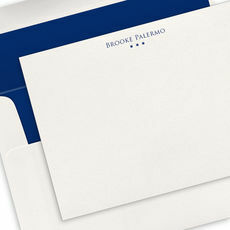 A classic midnight navy border color is used to create this sophisticated set of personalized stationery. 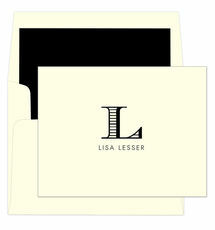 Set of flat note cards with matching blank white envelopes. Note cards are 6.25" x 4.5". 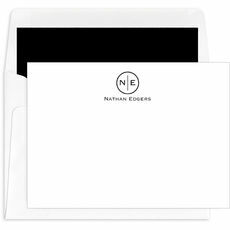 Flat..
Classic detailing on this set of flat note cards on triple thick white or ivory stock. 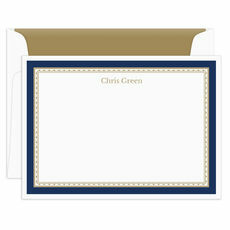 Personalization and border is printed in raised ink color of your choice. Size is 6.2" x 4.5". Matching.. 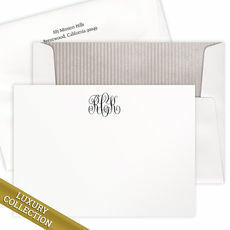 This set of foldover note cards feature a larger single letter monogram positioned over your personalization. 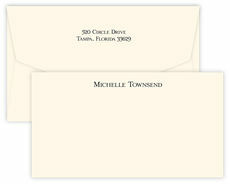 Printed in typestyle as shown using your choice of stock color and raised ink color. 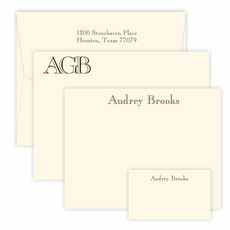 Size..
A set of flat note cards printed cards in your choice of raised-ink color with blank envelopes. Size is 6.2" x 4.5". 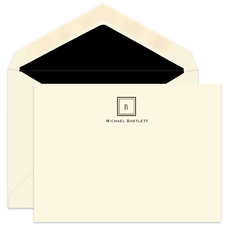 Return address and optional envelope linings available. Your choice of..
Graduation is the perfect time for a new box of stationery. It also makes a very useful present that the recipient will appreciate. 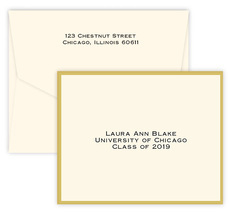 For all of the gifts the graduate has received, whether it's a high school graduation or a college or grad school graduation, a personalized note card is an ideal way to say thank you. 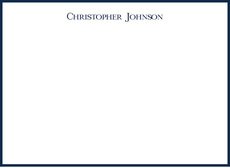 For those graduates interviewing for a job, a classic note card is a perfect way to follow up. From neutral stocks including white and ivory to the colors that will surely be a stand-out such as navy, green and purple, there are selections that will be perfect for every recipient. 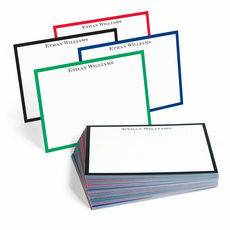 We offer note cards that simply have the user's name printed and those are what we recommend for general correspondence when networking, following up after a lunch appointment, a note to a professor or teacher who has helped in some meaningful way or to a friend for their support. 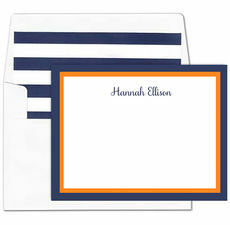 We also offer note cards that have the word thank you within the design and are very useful for sending a note of thanks for gifts that were received from family and friends. Mailing a handwritten note is the best way to show appreciation to those who have supported you in any way. And a handwritten note is the perfect follow up to an interview for a possible job opening. Of course you can email to thank them for their time, but in addition, a note card that lands on the interviewer's desk is something that will surely be noticed. 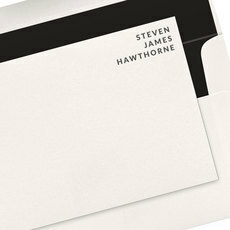 Be sure that the cards you are using are a quality, personalized item which denotes professionalism and class. We also offer a host of thoughtful graduation gifts they will really appreciate. 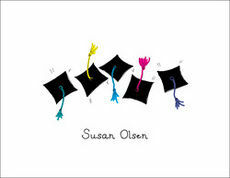 And if you are looking for graduation invitations we provide an excellent product.